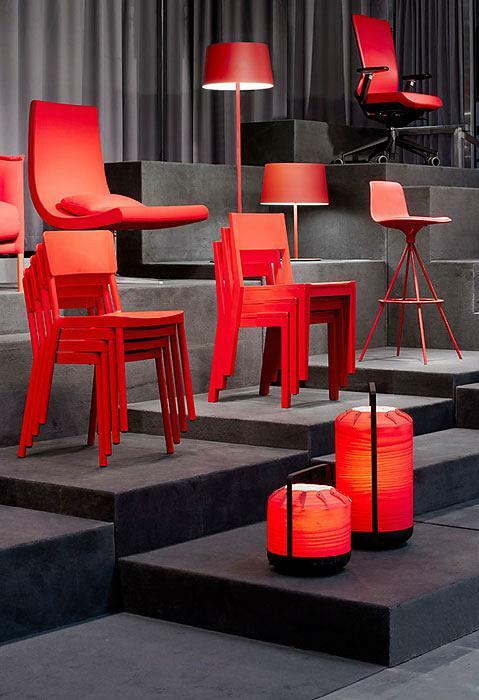 RED (Meeting of Design Businesses) is an association which brings together 43 Spanish companies with an International presence in the sector of habitat design. Its mission is to create a society sensitive to good design and demonstrate the importance of creative industries which form part of RED. 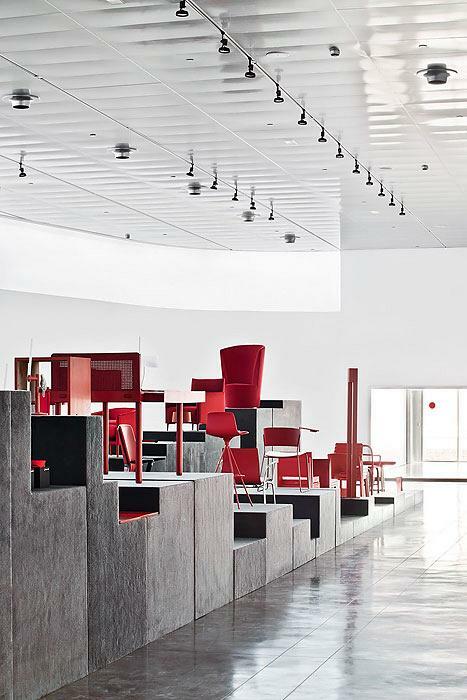 The association which promotes the value of design, creativity and innovation; listens to the demands of society in the habitat field in all aspects and ensures the competitiveness of the companies and well designed products. 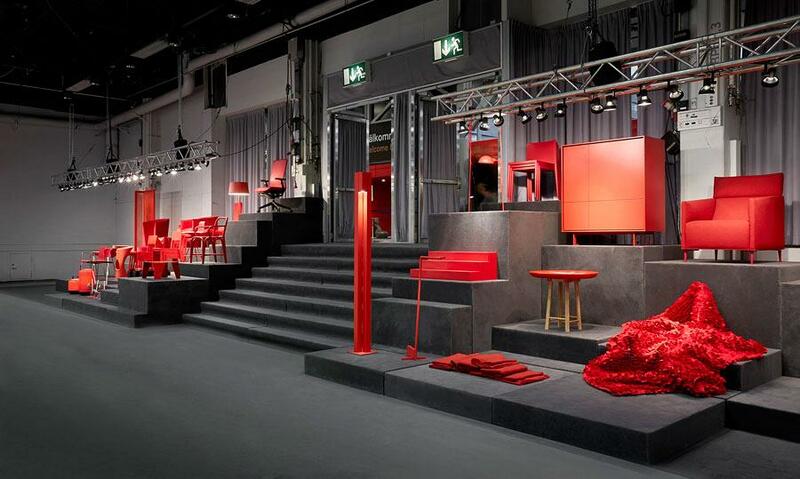 Actiu forms part of RED and has therefore participated at the Rojo Show roadshow. 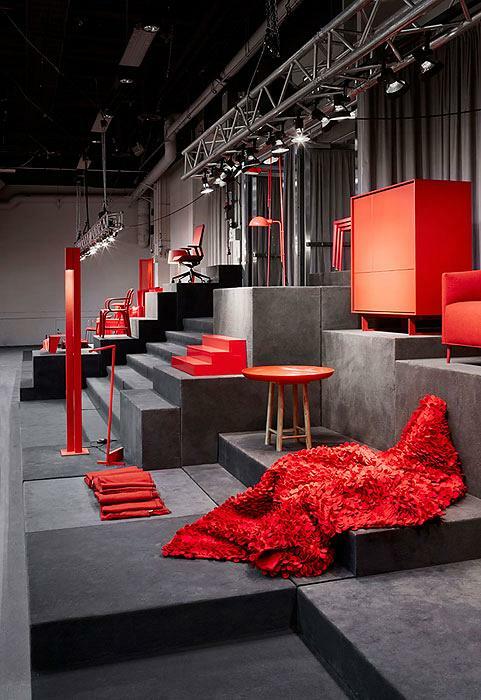 The RED exhibition is a stage made up of representative contemporary design pieces. 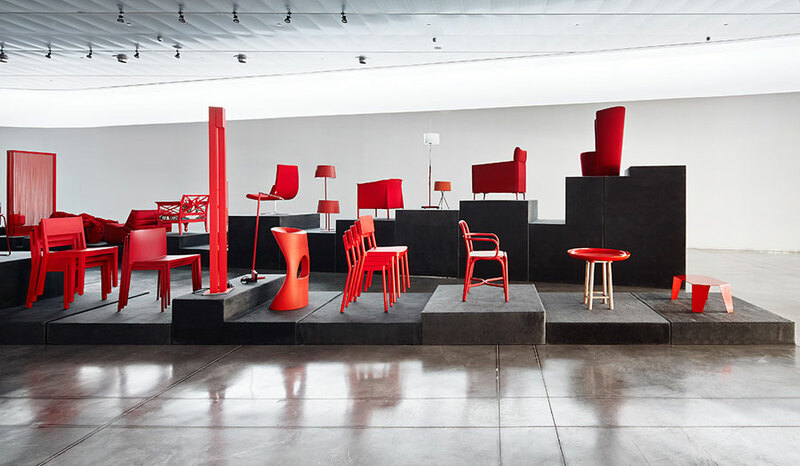 Through the products on display, each one of the companies represent the values of good design, the design author, commitment to quality, durability and sustainability. 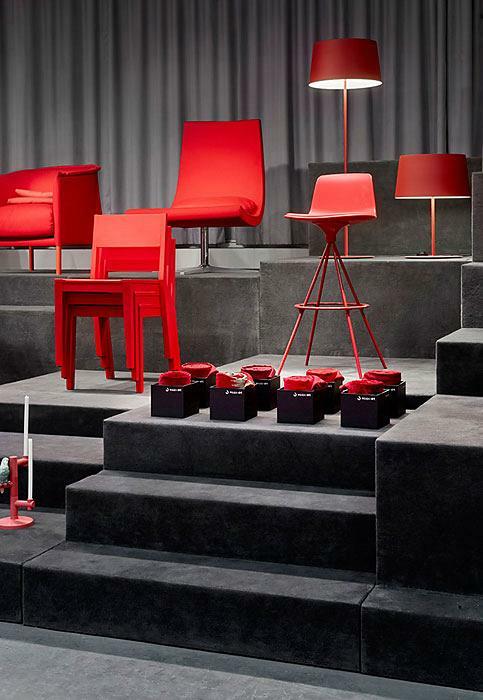 Red is the trademark that unites all the products displayed, a symbol of passion; reflected in the strength and dedication of all the companies that form RED for work on the values of quality, innovation and sustainability and the push for the Spanish brand beyond our borders using the strength that they print on the design of their products. 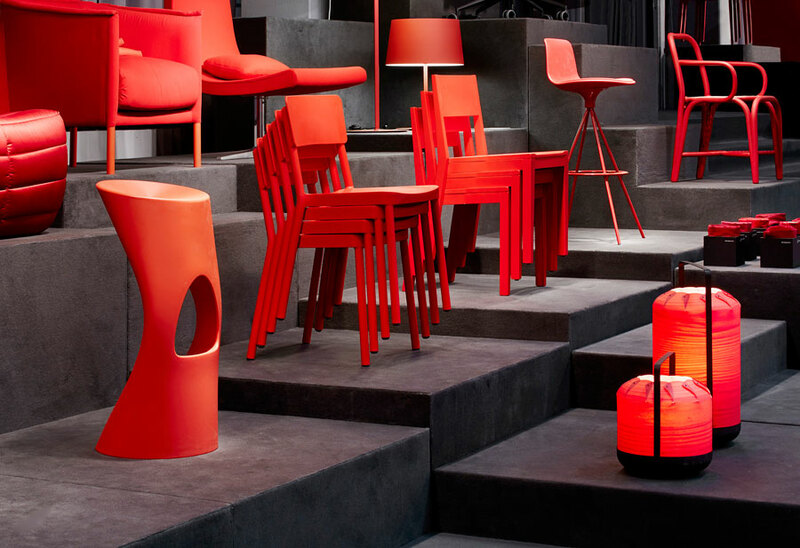 For the occasion, Actiu has manufactured an exclusive piece from its award winning Tnk 500 chair, designed by Alegre Industrial Studio, and winner of Red Dot in 2012, one of the most prestigious awards in industrial design. 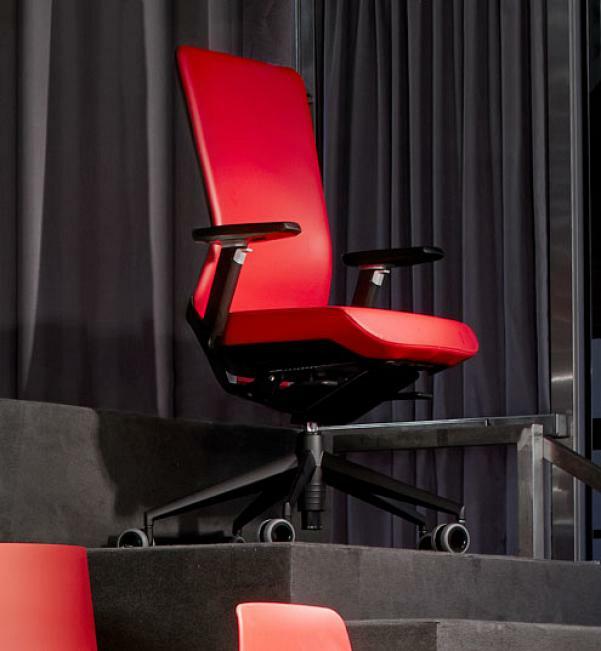 The chair, complying with the same requirements as others, was dressed in RED for this excellent event. 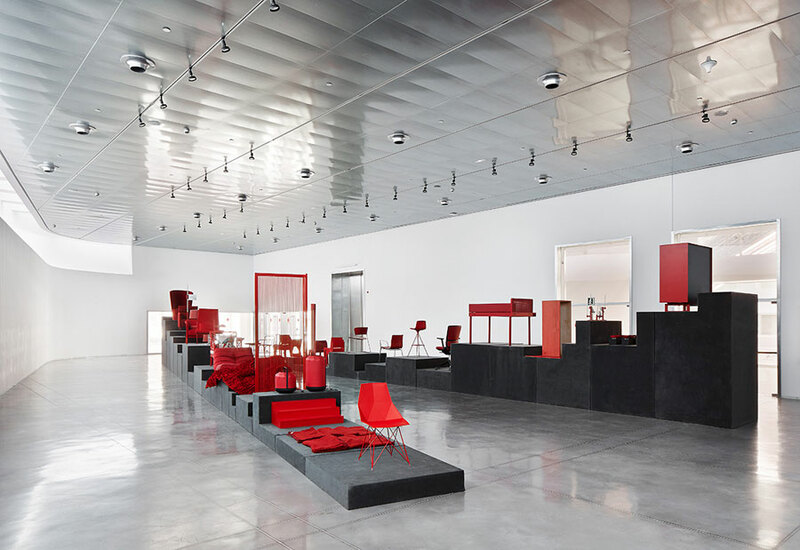 The Arquitectura–G studio designed an exhibitive project with the potential to roam and with multiple modular configurations which adapt to different spaces which move through the show. The Red Show exhibited at the Grand Tribeca Hotel in New York, the Contemporary Art Museum Franz Mayer in México DF, the Cultural Centre Clavijero , Morelia (México) with the creativity of Apparatu and Alex Trochut, and participated in National events in Stockholm, Milan, París, Berlín, Cologne and London. One of the last places that TNK 500 visited with RED was Stockholm and Barcelona. In Stockholm, specifically the last edition of Stockholm Furniture Fair & Northern Light 2014, the largest worldwide city specialist in Nordic and Scandinavian design, with more than 40000 professional visitors each year. 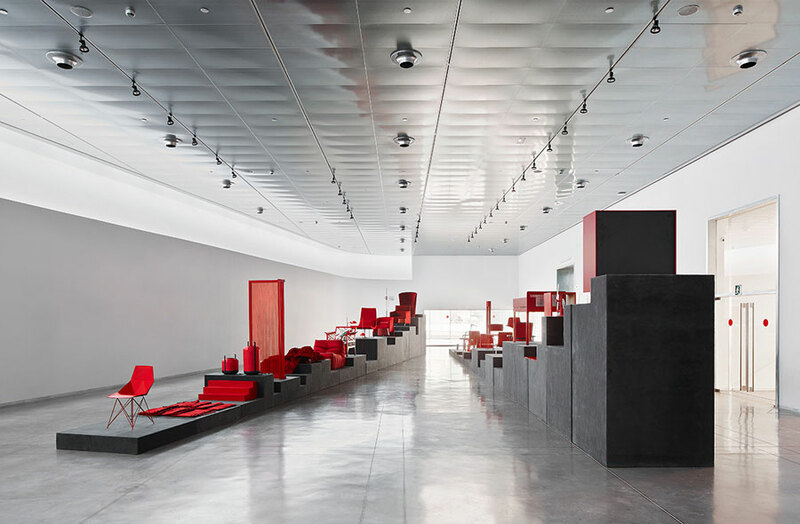 In Barcelona, it participated in Disseny HUB (Design HUB) Barcelona, projected by the studio MBM Architects (Martorell-Bohigas-Mackayo), with the latest generation equipment for both its performance as well as its sustainable nature.